To support digital transformation initiatives, computing power is being inserted out on the network edge in order to lower data transport time and increase availability. In this white paper, discover how edge computing can bring bandwidth-intensive content and latency-sensitive applications closer to the user or data source. 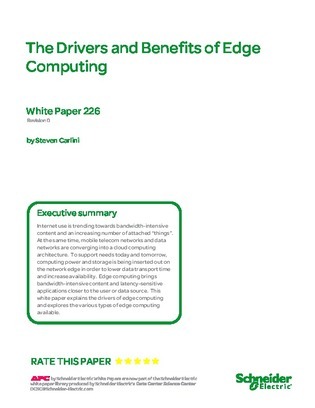 Dive down into the drivers of edge computing and gain a stronger understanding of the various types of edge computing available.